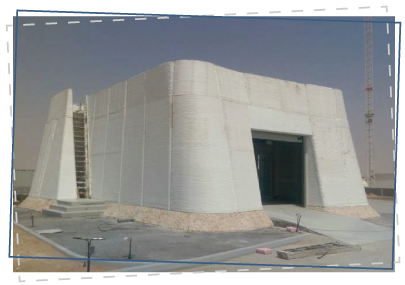 We have experienced that 3D concrete printing is much different from other 3D print technologies due to the use of concrete. 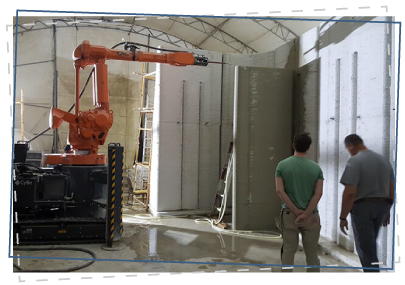 3DVinci Creations along with their 3D concrete Printing technology are dedicated to bringing concrete building technology from lab to fab by offering a modular 3D printing systems and seamlessly integrated information platform to demanding markets. Arguably we are one the first and foremost 3D printing companies having executed a 3D printed building in different location with variable conditions meeting requirements of the local Authority. This is why we have developed this technique as an integrated technology consisting as turnkey Design Build Solution of suitable material mix, hardware and software. Bus Stops, park benches, kiosks, coloured marble effect pavements, fountains. Gazebos, artistic staircases, fountains, home stone furnishing: public sofas, tables. Bridge portions, road options, tube sections, pillars potions, harbour sections, variable section beams and columns, water depuration, insulation plates. Low cost housing - low income housing, quick rebuild and economical on large scale massing in deprived conditions.